Check out our lat­est newslet­ter to keep up to date with our cur­rent pro­mo­tions for North­ern Vir­ginia & Mary­land. 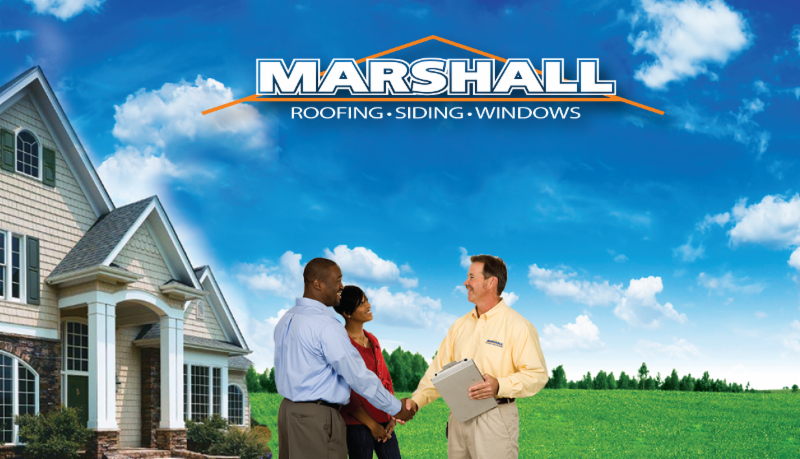 We are more than a roof­ing com­pany. We spe­cial­ize in roof­ing, sid­ing, win­dows, gut­ters, car­pen­try, front entry doors, slid­ing glass doors, patio doors and more! *Offer valid for con­tracts signed between June 1, 2016 through June 30, 2016. Not valid with any other offers or pro­mo­tions. 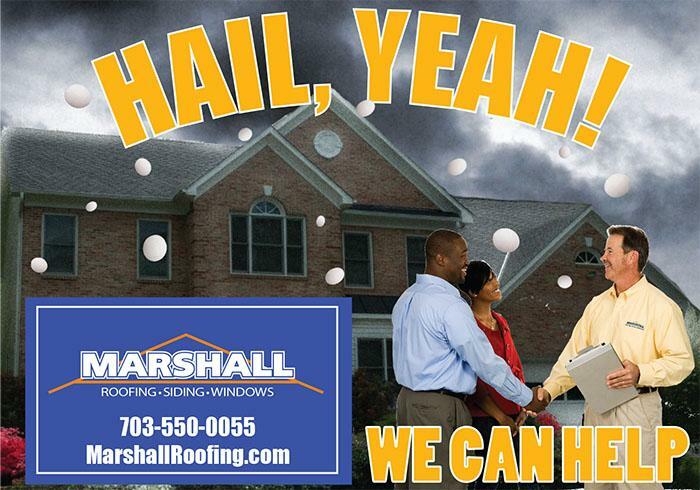 If you have dam­age to your home from recent hail storms, call us for your free esti­mate. 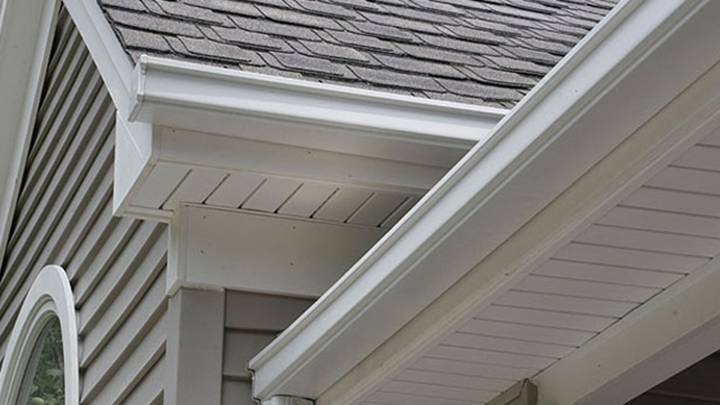 We can replace gut­ters, trim, sid­ing, roof­ing and more! Always free esti­mates, never pres­sure to buy! 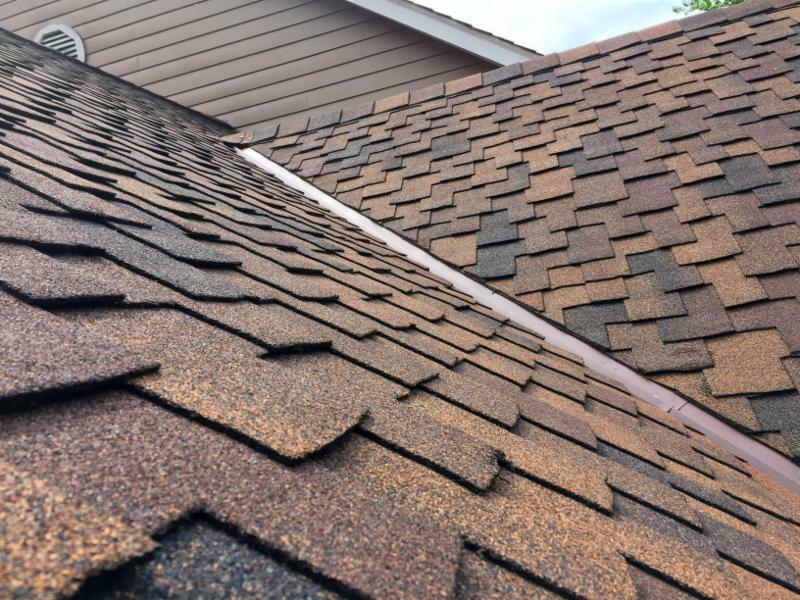 Below take a look at our stan­dard to high end shingles. 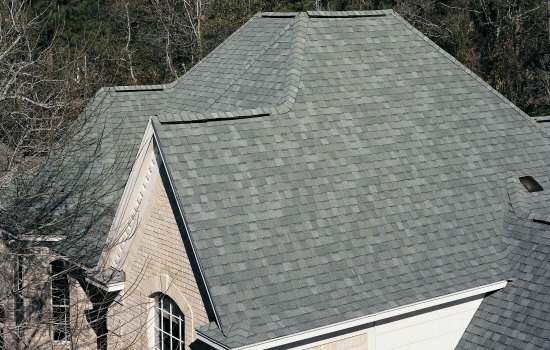 Cer­tain­teed Land­mark shin­gles trans­form out­dated and worn shin­gles for a sleek upgrade to older roofs. Land­mark is two-piece lam­i­nated fiber glass-based con­struc­tion. These shin­gles are 229 / 240 lbs. per square. 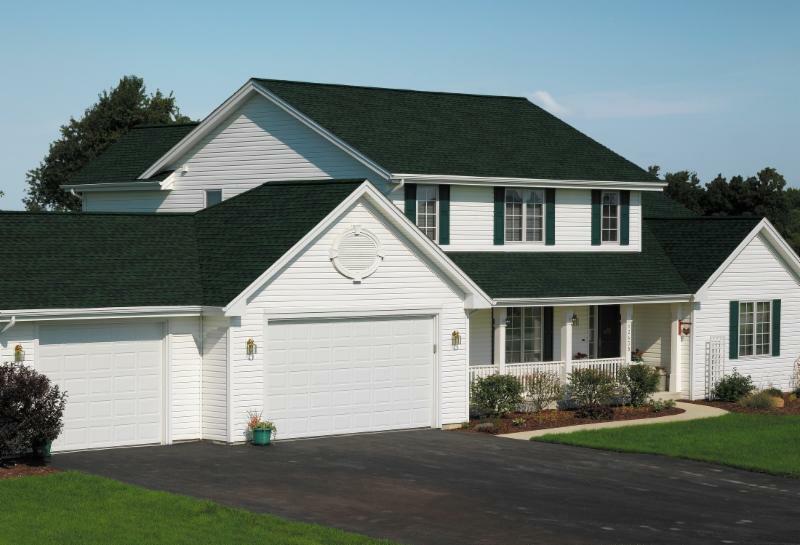 Ask us about our other lines of tra­di­tional roof­ing shin­gles from Certainteed! GAF Tim­ber­line Nat­ural Shadow shin­gles are fiber­glass asphalt shin­gles. They are known for their dura­bil­ity, and wind resis­tance. ENERGY STAR® qualified.